Ex Chief of Defence Staff, Air Chief Marshal Alex Badeh has identified the military’s lack of equipment and motivation for the inability to defeat the Boko Haram insurgency ravaging the Northeast reports Dare Adaramoye. Badeh also blamed those he referred to as fifth columnist among the Armed Forces and other security agencies for leakage of intelligence information to the insurgents in the counter insurgency campaign. “For the first time, I was head of a military that lacked the relevant equipment and motivation to fight an enemy that was invisible and embedded with the local populace. “Added to this, was the exploitation of a serious national security issue by a section of the press and the political class to gain political mileage. “Furthermore, the activities of fifth columnists in the military and other security agencies who leaked operational plans and other sensitive military information to the terrorists, combined to make the fight against the insurgents particularly difficult”, the ex Defence chief stated. Badeh stated this Thursday in his valedictory address at the pulling out ceremony to mark his exit from the Armed Forces. He was removed alongside other Service Chiefs on July 13. He regretted that unpatriotic activities of certain members of the military blunted the effectiveness of the fight against the insurgents, leading to the needless death of officers and men in the hands of the insurgents. He continued, “The decision by certain countries to deny us weapons to prosecute the war also added to the challenges we faced. Despite these challenges, I am glad to note that a lot was achieved during our time in the fight against terror. “The achievements recorded are largely due to the commitment, patriotism and fighting spirit of our men and women in uniform who saw the fight against terror as a task that must be accomplished no matter the odds and inspite of the campaign of calumny against the military by a section of the media with their foreign collaborators. “The support of our teeming populace who have continued to stand behind their military has been quite encouraging. Also, our true friends who stood by us in our time of need and provided us the weapons we are now using to conduct the operations will always have a special place in our hearts”. Further lamenting the underfunding of the military by successive administrations, Badeh said the development left the nation’s military ill prepared for the Boko Haram insurgency. According to him, this left available military facilities and personnel overstretched, leading to the devastation in the Northeast occasioned by insurgent attacks. “Permit me to also add here, that nation’s militaries are equipped and trained in peace time, for the conflicts they expect to confront in the future. “Unfortunately that has not been our experience as a nation. Over the years, the military was neglected and underequipped to ensure the survival of certain regimes, while other regimes, based on advice from some foreign nations, deliberately reduced the size of the military and underfunded it. “Unfortunately, our past leaders accepted such recommendations without appreciating our peculiarities as a third world military, which does not have the technological advantage that could serve as force multipliers and compensate for reduced strength. “Accordingly, when faced with the crises in the Northeast and other parts of the country, the military was overstretched and had to embark on emergency recruitments and trainings, which were not adequate to prepare troops for the kind of situation we found ourselves in. “It is important therefore for the government to decide on the kind of military force it needs, by carrying out a comprehensive review of the nation’s military force structure to determine the size, capability and equipment holding required to effectively defend the nation and provide needed security. “This is based on the fact that without security, there cannot be sustainable development. The huge cost that would be required to rebuild the Northeast and other trouble spots in the country could have been avoided if the military had been adequately equipped and prepared to contain the on going insurgency before it escalated to where it is today,” he submitted. Oilsa Metuh was on air with Channels TV this morning where he accused President Buhari of appointing members of the security directorate as members of APC. He also claimed DG, DSS Lawal Daura to be the President's nephew. He also accused Hajia Amina Bala Zakari, the INEC acting Commissioner as a member of APC. However, The senior Special Adviser on Media and publicity, Garba Shehu came on right after Metuh to defend the appointments citing the appointment by President J F Kennedy of his brother Robert Kennedy as the U.S. Attorney General. Shehu Garba strongly defended the appointments as competent officers and that there was nothing wrong as long as it doesn’t violate the constitution of Nigeria. A Jide-Salu report states that the Peoples Democratic Party (PDP) thursday stood by the allegation raised by its National Working Committee (NWC) on Wednesday claiming that the new Director General of the Department of State Security (DSS), Mr. Lawal Daura, was a card-carrying member of the All Progressives Congress (APC) and provided evidence to back its claim. However, the APC dismissed the allegation by the opposition party, describing it as “absurd and frivolous”. But the National Publicity Secretary of the PDP, Chief Olisa Metuh, who spoke to journalists in Abuja, described the statement issued by the spokesperson of the ruling party as regrettable. “First we want to state it very clearly that we stand by the issues as expressed by the National Working Committee and personally presented by the national chairman himself. “It is on record that he (Daura) was, although he is related to the president personally, the head of the Intelligence unit of the APC and a member of the APC,” he said. To support the claim, PDP released photographs of Daura with other members of the APC Directorate of Security when they paid a courtesy call on Buhari after he won the presidential election. It also produced a roster showing Daura’s name, alongside others, under the Directorate of Security. Metuh said PDP believed that even if the president was free to appoint his relations to political offices, there are sensitive positions that by their very nature require people who are independent. He also took a dig at the APC spokesman, saying: “We invite Nigerians to look at the physical appearance of the spokesperson of the APC, it is clear that he came out of Aro-clinic for him to make that statement. Redirecting his focus on Buhari, Metuh added: “The president is at liberty to appoint anybody into any office. Using his discretion. He is the President of Nigeria. He could as well appoint his relation to NNPC, NIMASA, NPA or any other ministry that he deems fit. “But there are sensitive positions that by their very nature require people who are independent, swayed away from him – people who are qualified but not tied to him by any nexus or affinity with the president. “We insist that the president, in making those appointments, should abide by universal conventions and democratic tenets and principles. Where you have to respect by separating yourself from those issues that affects the country. “These issues are on the matter of the electoral body which should be seen to be independent. It shouldn’t have anything to do with you. The same thing applied to security issues, as the sentiments and the emotions of the relation will apply in the execution of security matters and would be be-clouded by his sentiments and emotions. Metu also responded to the report on the poor financial position of the party, saying the party was concerned over its portrayal as being broke. “That is not in contention. What is worrisome from the statements is the angle that we are broke,” he said. The APC, however, has denied the allegation that Daura is a card-carrying member of the party (APC). The ruling party, which reacted to Wednesday’s claim by PDP, dismissed the accusation as absurd and frivolous. In a statement issued in Lagos yesterday by its National Publicity Secretary, the ruling party challenged the PDP to publish any evidence it may have to confirm the allegation, adding: “After all, it is trite that he who alleges must prove. APC expressed shock that the PDP was exhibiting all the symptoms of hallucinations so soon after its gravy train derailed, saying it was obvious that the party has now started hearing voices. “We know that the psyche of the PDP has been badly affected by its loss of power at the centre. Even the party itself has admitted that much. That situation has now been compounded by the fact that the party is broke. “It is therefore not a surprise that it is no longer able to think straight. The reality of its new situation is just beginning to dawn on it. “But we warned the PDP early on that being in opposition is not a walk in the park. We warned that while the party was used to eating its bread with butter on both sides, it will now be lucky to even have bread to eat,” Mohammed said. He advised PDP to spend more time patching its “tattered and battered” umbrella, rather than acting as a cog in the wheel of progress of the new administration. The Special one, Jose Mourinho as he is popularly called, claimed that Belgian, Eden Hazard was a better player than Cristiano Ronaldo last season. The chelsea Manager, Mourinho hinged his claim on the premise that Ronaldo, despite scoring 61 goals in all competitions last season, failed to win any major title with his club. "I think so," Mourinho told The Guardian. "I don't like players or managers to win individual trophies without the team." "Last season, yes. In spite of the fact that Ronaldo was fantastic. He was fantastic," Mourinho said. "He scored an incredible number of goals. I am not saying he is not fantastic. I am just saying that, in my personal view, every football player in the world should understand that a team has to be in front and no titles [are important]." Hazard or Ronaldo may be debatable, but to Mourinho there's no doubt that Messi remains No. 1. He added: "Football without titles is nothing. Messi won the treble. He won three competitions last year, he reached the Copa America final. He had a fantastic season for him and for his team." 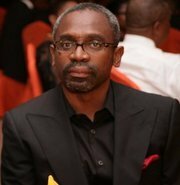 Femi Gbajabiamila and Others, Gets Leadership Appointments in the House of Rep today. 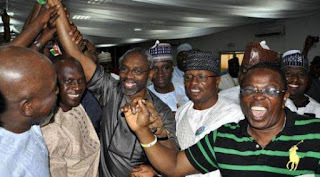 Femi Gbajabiamila has been announced as the Majority leader of House of Representatives. Alhassan Dogowa emerged as the Chief Whip while Baba Jibrin was named the Deputy Leader and Rep. Pally Iriase emerged the Deputy Chief Whip. Speaker, Yakubu Dogara announced the appointments at the end of plenary session of today, July 28. Minority Leader went to Rep. Leo Ogor, the Deputy Minority Leader, Chukwuma Onyema, Binta Bello, Deputy Minority Whip and Yakubu Umaru, Minority Whip. The Punch reports that, the Director General of the National Youth Service Corps, Brig.-Gen.Johnson Olawumi, said on Wednesday in Kaduna that prospective corps members with First Class degrees would henceforth be posted to universities for their primary assignments. Also to be posted to the universities, according to Olawumi, are corps members who graduated with distinction from polytechnics. This is just as the Kaduna State Governor, Mallam Nasir el-Rufai, stressed the need for positive orientation of corps members across the country. The governor, through the Permanent Secretary, Ministry of Youths and Sports, Kaduna State, Alhaji Ibrahim Balarabe-Musa, also hailed the decision to deploy first class graduates to tertiary institutions to serve. He added that with the lack of lecturers in the nation’s institutions of higher learning, the decision was a welcome development. Speaking at the inauguration of the 2015 Batch ‘B’pre-orientation workshop, the DG also disclosed that Nigerian universities had been banned from offering postgraduate admission to serving corps members. Olawunmi noted that doing so had over the years violated the NYSC Act and brought in unwarranted distraction to the programme. “All first class graduates will be posted to the universities for their primary assignments,” the DG said. He also appealed to vice-chancellors to retain first class/distinction gradautes after their NYSC programme. He noted that the use of ICT had eliminated registration by proxy, reduced costs, curbed avoidable accidents, fast-tracked the payment of corps members on relocation and made deployment and relocation easier and faster. (1.) Microsoft Nigeria - If you have unique experiences, skills and passions-and we believe you can bring them all to Microsoft for a rich, rewarding career and lifestyle that will surprise you with its breadth and potential. Just imagine the excitement and satisfaction of what you can do, where you can go, and the difference you can make with the resources of Microsoft behind you. (2.) Interswitch Financial Inclusion Services Limited (IFIS), is a newly established subsidiary joint venture between Beyond Branches, Growing Businesses Capital and Interswitch Limited. The Company was established to ensure increased agent activity in the delivery of financial and related value adding services outside the traditional channels, through additional financial access points within Nigeria and across Africa. What you know so far has brought you to where you are now. In order to get to where you have not been before, you must know more. To Know more is to become more. The value that comes to you in the form of money is a function of the value you have become. Personal income seldom exceeds personal development. To have more is to become more. It is easier to blame people for your failure, personal responsibility is what determines your chances In life. You cannot change your circumstances but you can change yourself. Life does not give you what you want; it only gives you who you are. Any promotion that is not obtained through personal development can never last with you! Life is a mirror; it only gives back to us who we are! 1. KNOWLEDGE: We are affected by what we know. What we know does not leave us the same. Our lives are shaped by the quality of the information that flows through our minds. 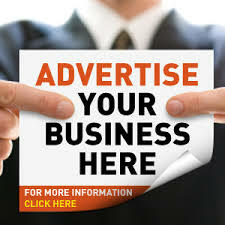 Promotion is not possible when relevant information is not in view! What you have known so far has brought you to where you are now in life. It is the quality of your knowledge that gets you acknowledged in life. You are still where you are now because of certain information you are yet to get. The moment you are exposed to such information, you will leave where you have always been. a. How you feel about the Past. b. How you feel about the future. c. How you feel about others. a. HOW YOU FEEL ABOUT THE PAST: The Past is gone; it can never resurrect again. Stop carrying it like a burden rather learn certain valuable lessons from it and use them to your advantage in the future. Let not the mistakes and failures of the past bury you rather let them teach you. Also never allow the success of the past to stop you, let it fuel your ambition to succeed more and more! b. HOW YOU FEEL ABOUT THE FUTURE: We look back for experience but we look forward for inspiration. The future is where you will spend the rest of your life. The best of your life is yet to show up: its waiting for you in the future. Your attitude about the future reveals how much you expect of the future! Your today may take you as you are but tomorrow will certainly not. You just must be well prepared to face the challenges ahead! c. HOW YOU FEEL ABOUT OTHERS: None of us is as smart as all of us. Each of us needs all of us in order to succeed in life! One person doesn’t make a symphony. Every man you see is an extension of God and the investment of other people that have impacted his life. 3. BECOME MORE VALUABLE: We get paid for bringing value to the market place. Your income is largely dependent on the value you bring to the market place. It’s not really the economy that the determines your income but how valuable you have become. In order to become more valuable to the market place, you must make up your mind to expose yourself to relevant valuable materials in the form of books, seminars, mentors, value adding friends etc. 4. ACTIVITY: This is another pillar of personal development. What you do determines what you become. Labor may be painful but it is result oriented. A woman is happy to go through labor pains because she is aware a new life is about to be born. It is activity that converts vivid imagination into tangible reality! It is action that separates wishers from achievers. 5. MEASURE PROGRESS: Success in life is a number’s game! It can be measured or counted. When progress is properly monitored, progress in life can be accelerated. Life expects us to make measurable progress in reasonable time. This measurement can be done at the end of each day, each week, month and year. This enables us to know how much and well we are doing in life. In conclusion, remember if you can get better, things will get better for you. What you have is directly linked to who you have become. SHALOM! The Senior Special Assistant to the President, Garba Shehu, has released some statement and some shocking news, including the discovery that some former ministers were selling about one million barrels of stolen crude per day.